What could make the news of GM phasing out Australian production worse for Holden fans? Maybe it'll be when the beloved Commodore line is turned into a, gasp, front-wheel driven four-cylinder sedan. From China, no less. Bad news for hoonage fans. 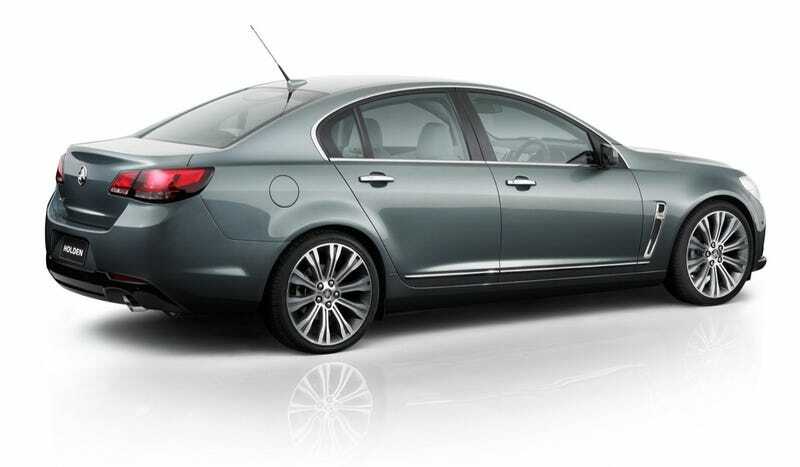 News Corp Australia (via TTAC) says they have seen documents confirming GM's plan to give Holden a Buick-derived sedan that's made in China as a range-topping successor for the VF Commodore. Since 2007, a stretched Commodore has been sold as the Buick Park Avenue in China. It's a safe bet that the new sedan will be LaCrosse-inspired as that's currently the brand's largest sedan, and it already has a four-cylinder engine option. Holden, however, is pushing for a V6, too, since no one's wanted a four-pot Commodore since the '80s. And what does that mean for the Chevrolet SS that's just arrived here? Get a V8 with RWD while you can.